Citius, Altius Fortius. These are the Latin words which are the very essence of every athlete’s dreams. With its meaning and importance preached at every single Olympics, to the Track and Field athlete, ‘Faster, Higher and Stronger, resounds even more emphatically. Why? The answer is simple. Every athlete competing in any track and field event, be it the 100 meter sprint, the high jump or the discus throw can draw strength directly from the Olympic motto. The Raffles Track and Field team bears this same motto in mind, it pushes itself to the limit, runs with lightning-speed toward its goal, jumps to greater heights and throws itself into the history books. The entire team at the end of the 2012 season. First, ‘Citius’, which means ‘faster’ in Latin, represents the nature of our training programs. In track and field, especially sprinting events, world records are surpassed by minute timings, measured by tenths or even hundredths of a second. Olympic athletes train extremely hard, all for the sake of shaving those few milliseconds off their personal bests. Here at Raffles, we do exactly the same. We work our socks off for these tiny improvements. It is not rare for people to heap scorn onto our seemingly inefficient and time-consuming training regimes. Training can either be 3 or 4 times a week, each lasting about 2.5 hours. The programme varies from track work, gym sessions to endurance workouts. Improvements are not immediate; in fact they are, most of the time, painstakingly gradual. However, this is precisely where we learn the true meaning of hard work and patience in our endeavors. This means ‘higher’ in Latin. 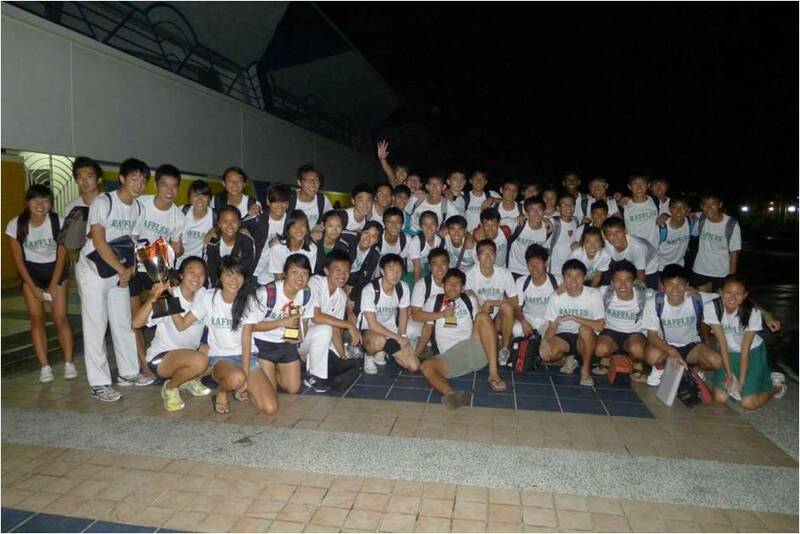 The Raffles Track and Field team seeks to obtain the ultimate ‘double gold’ achievement at every national championship. However, that is not the only thing we seek. Many intangible benefits are reaped along the way – higher levels of self-discipline when training during season and higher standards of character as demonstrated when we fight for every point despite gloomy circumstances. A few years back, the team managed to clinch double gold at the National Championship but not before a nail-biting fight to the finish. Going into the final day, the team had their back to the wall as our rivals had a commanding lead. 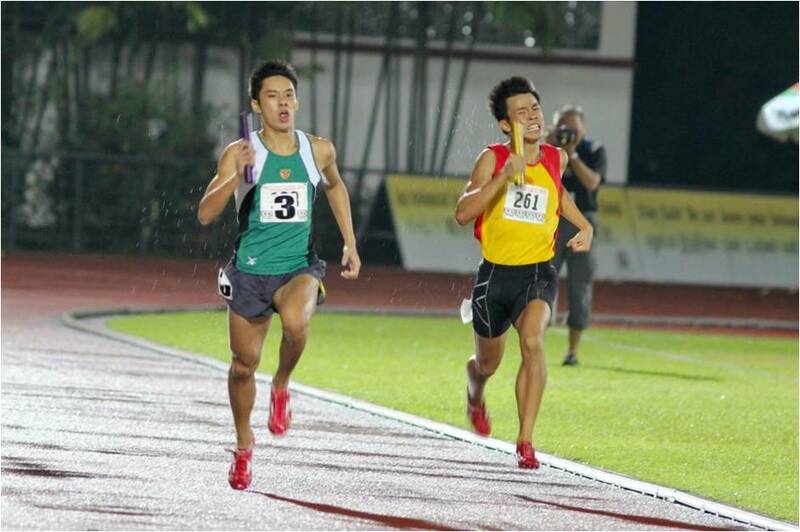 Needing to win maximum points for certain events on that day, our athletes held their nerve, and swept the podium in all the long distance events, squeaking past our rivals by a single point. Furthermore, just recently in 2012, the team saw themselves needing to make up a 20-meter gap in the 4x400m relay final. Despite being behind most of the race, the team fought back, showing great determination and resilience, eventually beating our rivals by 3 meters to clinch the gold medal. Instances such as these, are a testament to the character and mental strength of every team member. ‘Fortius’ means stronger in Latin. Physical strength is needless to say important but the very thing that holds this team together is the strong bonds of friendship and camaraderie within Trackers. Track and Field is no doubt an individualistic sport but without a team to contribute to, each one of us would just be fending for ourselves without anyone to turn to for moral support or encouragement. Hence, the bond between Trackers is ironically strong as everyone plays a part in contributing points for the team to win the national schools title. This may sound unusual, but we speak from experience. With activities ranging from regular team lunches, movie outings and exciting beach trainings, Raffles Track and Field constantly seeks to beef up on our repertoire of off-track activities to foster stronger bonds and relationships within the team. 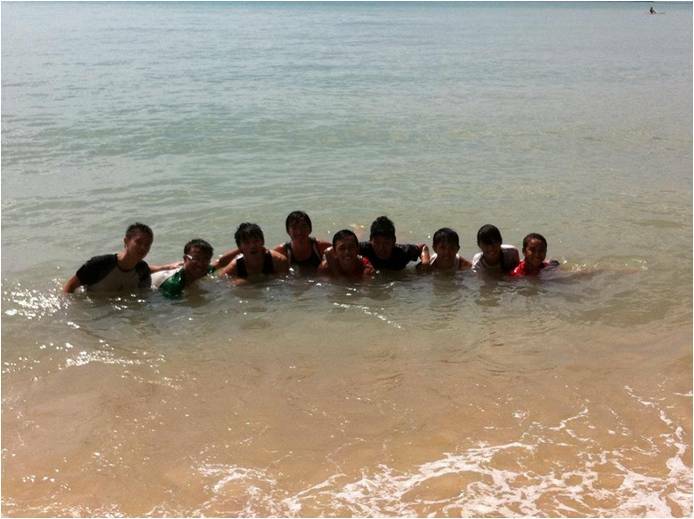 With these strong bonds intrinsically weaved into our CCA, the journey proves to be even more enjoyable and fun-filled. Lastly, Track and Field is also a lifestyle – where each session can be treated as a chance to keep fit and stay in shape. More than just a CCA, we are a group which constantly seeks to improve ourselves, reach new peaks of excellence and stay bonded all the way. No one gets left behind.